Meghan Markle may break a major royal baby tradition when she has her baby in the spring of 2019. Prince Harry and Meghan could skip the Lindo Wing at London St. Mary’s Hospital and opt for another birthplace for their infant. That would mean the new royal baby would not see the famous steps where many other royal babies have made their debut to the world. If they deliver the baby at another hospital, it would break a major royal tradition. An inside source disclosed that Meghan Markle wants a very different experience from other royal wives. This is what led her to look up other options and not have her baby at the private maternity wing where Prince Harry and Prince William were born. Reportedly, the hospital staff is extremely attentive and strives to make the new mother’s experience one she will never forget. The patient pays a large sum of money to give birth where the royal wives do. After all, the place cannot be too shabby as the world’s finest champagne is on the menu. The Palace and royal aides will not comment on where Meghan is planning on having her baby. The Palace did confirm that Markle is under doctor’s care. The couple obtained a doctor’s approval to travel to Fiji and Tonga last month. At the time of her examination, the OB/GYN performed a 12-week sonogram to make sure the baby was viable. By the time Prince Harry’s and Meghan Markle’s first child arrives, the Duchess of Sussex plans to be living in Windsor. The couple could select a hospital close to their new home. Since Meghan has had a very uneventful pregnancy so far, an inside source suggests she hasn’t ruled out a home birth. Markle’s exact due date is still a mystery. The royal experts believe that she is about nearing 18 weeks, which would put her due date in late March. As her due date gets closer, more details should emerge on where she plans to deliver. 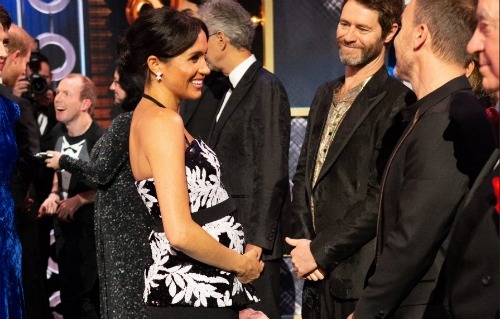 Do you think Meghan Markle will break royal tradition by not having her baby at the London private maternity wing? Don’t forget to come back for more royal news and updates!